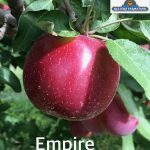 Empire Apples ready on Saturday! Our Empire apples will be ready to pick starting this Saturday! Our Oswego orchard is open daily 9-6:00pm. Please refer to our Apples page for pricing and variety availability. Jonathan is now ready to pick! 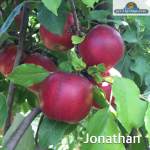 Our Jonathan apples are ready to pick! Our Oswego orchard is open daily 9-6pm. 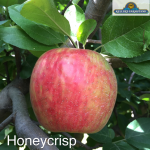 Please refer to our Apples page for complete list of variety availability. Food collection was a success! We are so thankful for all of you who brought food donations for the Kendall County Community Food Pantry on Saturday! 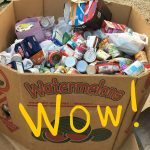 Your generosity amazes us! 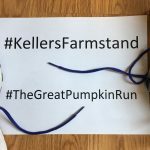 The Great Pumpkin Run 5K is tomorrow! We are hosting The Great Pumpkin Run 5K tomorrow! Please use these hashtags when posting your race photos on social media. See you very soon! Our Fox Valley Summer Market is closed for the season. 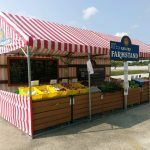 Naperville, Oswego, and Plainfield farmstands remain open! 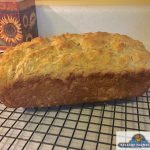 Fox Valley Summer Market Closing! Our Fox Valley Summer Market will be closing for the season on Sunday. Our other locations will remain open. 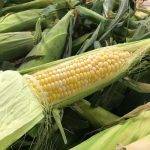 Stop in for homegrown sweet corn and other fresh produce!